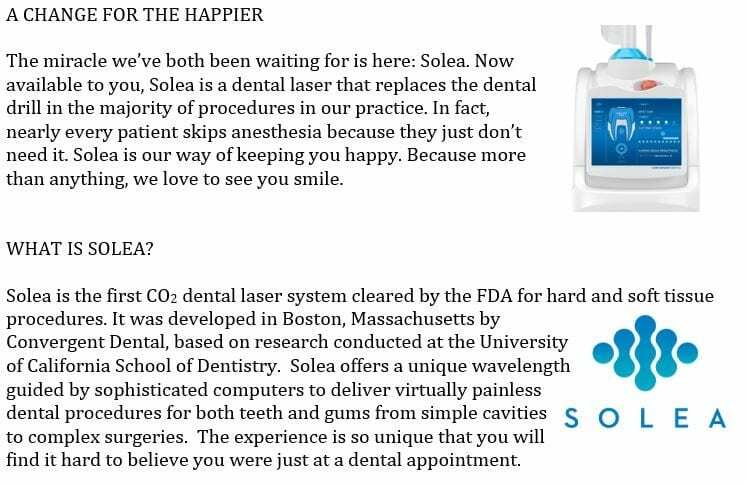 Solea (pronounced “So-lay-ah”) is a revolutionary advancement in dentistry, designed to provide patients with a virtually painless experience. In fact, Solea has become the number one selling device in laser dentistry and is now available at the offices of Lakefront Family Dentistry. Lakefront Family Dentistry serves all of Southern California residents, which includes the Riverside and San Diego counties. Dr. Derek Hauser and Dr. Matthew Kanter are prominent figures in the dental profession, with trusted and beautiful smile transformations using their in-house lab using CEREC technology for same-day crowns and veneers. 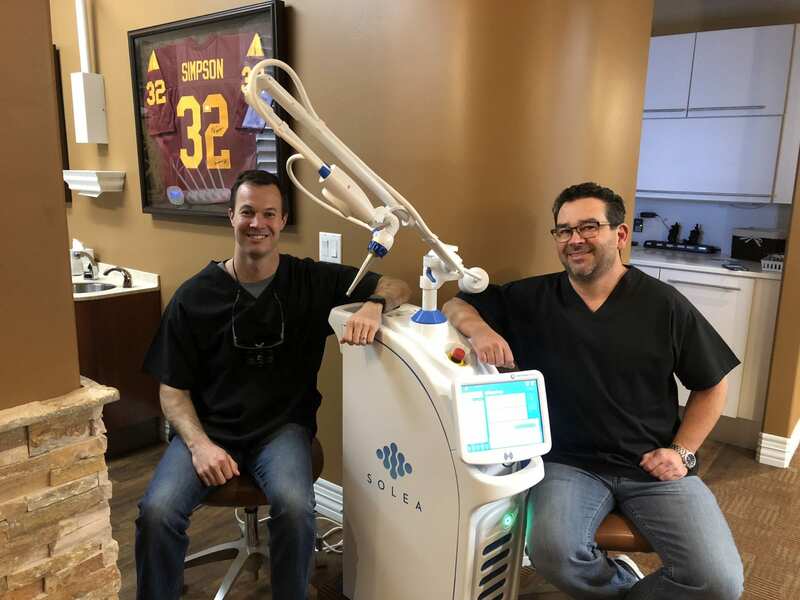 Dr. Matt Kanter and Dr. Derek Hauser Provide the Latest Technology for Patients with Solea Laser. No More Numbing for Fillings and Gum Treatment. Dr. Kanter comes from a well-respected military background and has more than 500 hours of advanced dental training. Collectively, they present more than thirty-one years of diverse experience and have established themselves as the go-to practice of excellence in the community. Is Solea Ideal for Children? Solea is safe for your children as well as adults; and it works in the same manner for both. Children are often fearful due to the numbing experience and dentist visits overall. Since the need for this process is removed using the Solea laser, younger patients can relax and get the treatments they need (and often, multiple treatments in one visit). Best of all, children can eat and drink immediately after services have been rendered, which is always an added benefit. 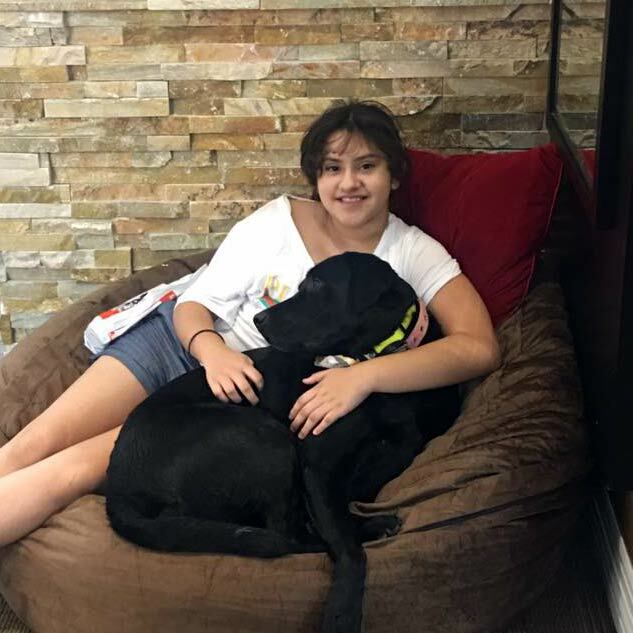 Of course, they also have the added benefit of Lakefront Family Dentistry’s amazing and gentle therapy dog named Stella during their visit! Proper dental health starts at a very young age. Solea can get your children off to a great start. In case you’re wondering, Solea is also safe to use if you’re pregnant or nursing. 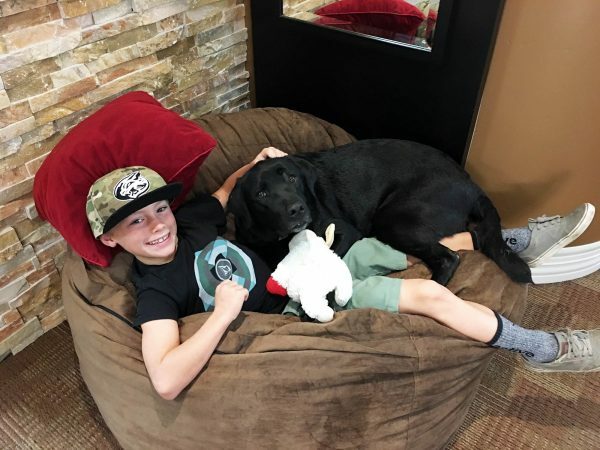 The presence of Solea at Lakefront Family Dentistry has the practice excited about the possibilities and pain-free solution for patients with services including fillings and gum treatments. “We are 1 of less than 700 dentists in the USA with one of these lasers! There are 160,000 dentists in the country. We have one of the first Generation 3 lasers. This thing is going to transform dentistry for thousands of patients,” says Dr. Hauser. At some point, we’ve all been fearful of visiting the dentist. Some people even postpone critical dental treatments and important checkups, despite the associated risks. In the end, we’re left with declining dental health that increases in cost with each passing year. If this sounds like you, say goodbye to fear and hello to a healthier, pain-free smile with Solea. How Does the Solea Laser Technology Work? In typical dental situations, a patient arrives at the office and is prepped for a procedure with a numbing element and/or anesthesia. Once the patient is numb, the procedure begins, targeting the tooth or surrounding soft tissue. Patients are often limited by the number of areas that can be treated (e.g., in a deep scaling where only 2 of the 4 quadrants are treated). The return visit repeats all the elements and the cycle continues. With Solea, the above process is eliminated. Instead, the dentist allows the device to sculpt and repair the damaged areas—placing the patient completely at ease and without numbing required. The procedures are faster and pain free. What more could a dental patient ask for from their trusted dentist? What Kinds of Dental Issues Can Solea Treat? Solea can treat different types of dental issues, ranging from something as simple as filling a cavity to a gingivectomy. Dr. Kanter and Dr. Hauser can use any number of settings on the device to treat your specific issue with accurate laser precision. Some patients have even stated they didn’t even hear the device during their treatment and are surprised the procedures are completed so quickly. If a patient needs repair to their gums or an underlying dental issue at the root of a tooth, both experienced dentists are now able to carefully target and treat those areas without the need to cause extensive damage to the tooth. This not only means less pain, but a speedier recovery for patients with minimal downtime. How Else Can Solea Help Me? There are only so many hours in a day, and the one thing there is never enough of is time. Given Solea’s efficiency, the doctors can accomplish more within each dental, which means you can complete your check-up or treatment sooner and with fewer visits. Dr. Derek B. Hauser and Dr. Matthew Kanter can complete almost three times the number of cases (compared to traditional treatment methods), which means your favorite dentist can work smarter and not necessarily harder. In short, Solea is a win-win situation for both patients and dental professionals alike. What’s not to love? The team at Lakefront Family Dentistry is ready to provide patients with the ultimate experience in dental healthcare and help transform how patients view their next trip to the dentist! In addition to an amazing experience backed by one of the greatest inventions in modern dental history, you can expect to be greeted by a professional, friendly staff and beautiful Stella. Stella is the practice’s gentle and kind therapy dog who can be seen making her way around the office. She is there to provide patients with love, comfort and emotional support during dental visits. She alleviates anxiety for children and adults alike and makes trips fun and more relaxing. New patients will receive a full and comprehensive evaluation, addressing any dental challenges they may have, as well as obtain a comprehensive treatment plan that maximizes the use of every available piece of technology Lakefront Family Dentistry has at their private practice. This includes the latest in digital x-rays with their amazing Orthophos 3D technology. This ensures patients will not only have a rewarding experience, but they will be certain each treatment plan is accurate and fully customized to best treat their needs. The wave of the future in dental treatment is here. Catch the wave and join the best dentists in Lake Elsinore at Lakefront Family Dentistry as we embark upon a new journey. If you’re in Southern California, contact our dental office in Lake Elsinore today by calling (951) 244-9495 to schedule a consultation or make an appointment through the website anytime. Experience the convenience and ingenuity of Solea for yourself. You’ll be amazed at the difference!